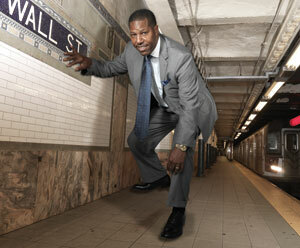 However, there has been some upside for African Americans on Wall Street since then. Those who remained with the global giants of the industry have demonstrated their expertise by leading them back to profitability. 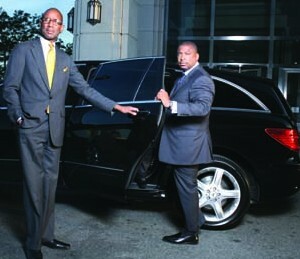 For some of the boutique firms that comprise the BE 100s (the BE 100s is Black Enterprise‘s annual list of the nation’s largest black businesses) financial services companies, their lack of exposure to toxic mortgage-backed securities that contributed to the financial crisis enabled them to bolster their operations by hiring talent from Wall Street giants and entering lines of business cast off by their larger counterparts. 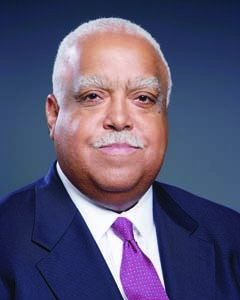 Considered as the nation’s oldest, continuously operating minority-owned investment bank, M.R. Beal & Co. (No. 5 in taxable securities with $1.6 billion in lead issues and No. 3 in tax-exempt securities with $2.2 billion in lead issues on the BE Investment Banks list) was engaged in $40.2 billion of public financing in 2008, followed by $45.4 billion in bond issuances in 2009. 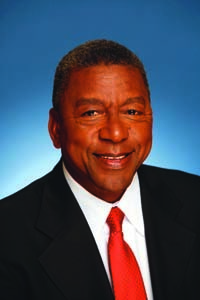 In 2010, Beal led the company to senior-managed and co-lead deals totaling some $62 billion. Blaylock serves on the transaction and analytical team for GenNx360 (No. 4 on the BE Private Equity Firms list with $600 million in capital under management) which invests in middle-market industrial and business-to-business companies. GenNx360’s Fund I portfolio has $600 million in committed capital from leading institutional investors. The firm’s portfolio companies represent more than $1 billion in revenues. 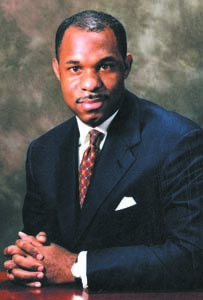 Prior to launching GenNx360, Blaylock was CEO of Blaylock & Co., an investment banking firm he founded in 1993. Bobo focuses on U.S. buyout opportunities in the industrial and transportation sectors. In his position at Carlyle, Bobo co-led Carlyle’s acquisition of AlpInvest Partners, a $43 billion private equity fund-of-funds manager based in the Netherlands. This strategic purchase ushered Carlyle into a new line of business. Also, in 2010, Bobo co-led the formation of a joint venture that will work to acquire more than $5 billion in shipping assets using up to $900 million in equity over the next five years. Boland is responsible for loan origination, underwriting, fulfillment, and service through partnerships with GWIM lines of business and provides strategic direction and leadership for the company’s standard mortgage business, representing some $40 billion in outstanding balances and $10 billion in annual loan originations. Boland increased fundings in the first quarter of 2011 by more than $1.88 million compared to the first quarter of 2010. Landmark is a global leader in private equity and real estate limited partnership acquisitions in the secondary market, and Borges, a former Connecticut state treasurer, has been with the company for 12 years. 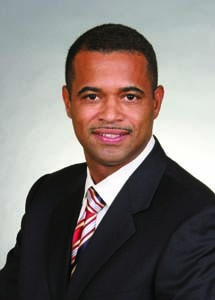 Prior to joining Landmark, Borges was managing director of Financial Guaranty Insurance Co. He currently sits on several boards, including Assured Guaranty and Davis Selected Funds. Siebert Brandford Shank & Co. L.L.C. Brandford manages strategic planning of the company the co-founded in 1996 (No. 2 in taxable securities with $8.1 billion in lead issues and No. 1 in tax-exempt securities with $6.8 billion in lead issues on the BE Investment Banks list) and is involved in the day-to-day decisions of deal making. He is responsible for the firm’s overall strategic and marketing efforts and has led large-scale financing projects exceeding $5.9 billion over the past 10 years. As the head of Brown Capital Management L.L.C. (No. 10 on the BE Asset Managers list with $3.2 billion in assets under management), Brown oversees a portfolio that has grown 18% over the last five years. 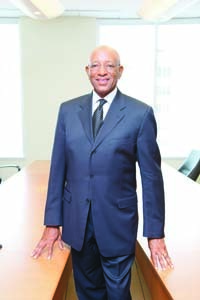 Espousing the GARP (growth at a reasonable price) philosophy, Brown, one of be’s “40 Most Powerful African Americans in Business, has more than 40 years of investment experience. 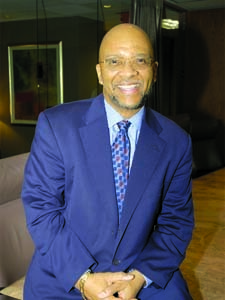 A 27-year veteran in the financial services industry, Byles Williams founded FIS Group in 1996. She is the portfolio manager for the firm’s global equities products and chairs the firm’s investment committee, overseeing all investment strategy, manager search, and disposition decisions. 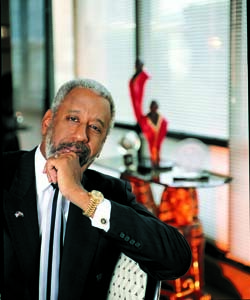 Prior to FIS, Byles Williams was a principal and senior consultant at WHP Inc., at the time the only full-service minority pension investment consulting firm. As head of Deutsche Bank’s Structured Products Trading Group, Dixon manages a multibillion-dollar balance sheet. His responsibilities include trading and risk management of adjustable rate mortgages, agency collateralized mortgage obligations, derivatives, reverse mortgages, and other mortgage-backed securities. Within Deutsche Bank he is a member of the Corporate Investment Bank Americas and Global Rates Executive Committees. 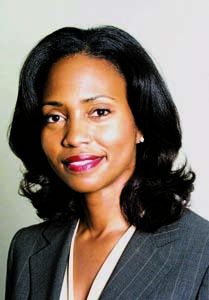 From college intern to an analyst on the convertibles desk to managing director, Ellis-Simon has climbed up the ranks at Merrill Lynch in the past 17 years to become one of the most powerful professionals in her field. 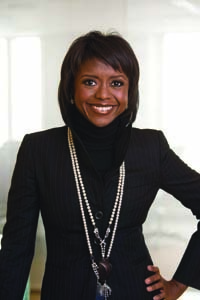 The first black woman to become a managing director in the firm’s investment banking division, she is also the co-founder of the Global Banking & Markets Women’s Leadership Council. Wall Street veteran Fletcher has completed more than 50 transactions funding dozens of promising companies through FAM, which has more than $500 million in assets under management. During the recent economic crisis, FAM structured and funded transactions for United Community Banks Inc., a community bank with more than $7 billion in assets, and Edelman Financial Group, a wealth management firm with roughly $18 billion in assets. With more than 30 years of experience in asset management and finance, Flood became head of this newly formed division in May. 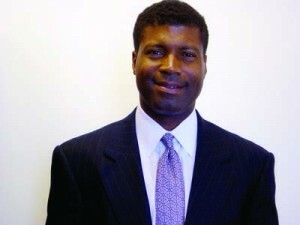 His role includes oversight of the organization’s endowment, planned giving, and life insurance businesses. 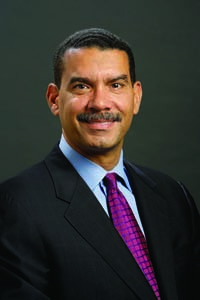 He was most recently president, CEO, and director at fixed-income manager Smith Breeden Associates. Fuller is responsible for market and business development, product advocacy, and client service for state and local government clients totaling nearly $100 billion. She previously served as co-head of the Global High Yield Group at Alliance Capital and as a portfolio manager for high-yield, emerging markets and global high-yield portfolios for institutional and individual investors. 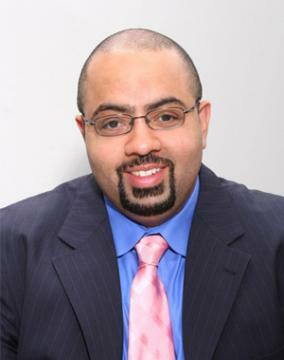 George is responsible for managing all aspects of the firm’s equity trading desk and is a member of the company’s commission and soft-dollar committees. In addition to his duties as head trader, he also trades small and mid-growth stocks for the asset management firm that has more than $155 billion in assets under management. 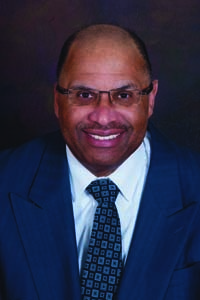 Prior to joining Delaware Investments in 1997, George was a senior equity trader at the State Teachers Retirement System of Ohio. 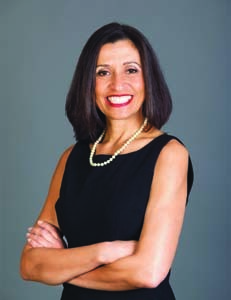 Gomez is currently the interim national executive for the Community Development Banking division, responsible for providing a wide range of debt and equity financing solutions to developers of affordable housing across the country. Last year, the Community Development Banking division provided more than $1.6 billion in debt financing and more than $600 million in equity investments. Gonsalves has inked more than 45 deals valued at more than $85 billion in total during his rise up Goldman Sachs’ mergers and acquisitions ladder. He is the partner responsible for Goldman’s Real Estate M&A Business, working with a variety of companies. Gonsalves advised Goldman Sachs affiliate Whitehall Street Real Estate Funds in its $1.2 billion acquisition of the Stratosphere Casino Hotel & Tower and 17 acres on the Las Vegas strip owned by American Casino & Entertainment Properties L.L.C. Grain’s private equity firm, No. 12 on the be private equity firms list with $135 million in capital under management, invests in the telecommunications sector, primarily federal and state government wireless systems. Prior to forming Grain Management, he led an independent wireless communications tower company that is now Global Signal from bankruptcy to netting a $126 million IPO. In July, President Obama appointed Grain a member of the National Infrastructure Advisory Council. Grayson is responsible for the day-to-day operations at M.R. Beal & Co. (No. 5 in taxable securities with $1.6 billion in lead issues and No. 3 in tax-exempt securities with $2.2 billion in lead issues on the BE Investment Banks list). 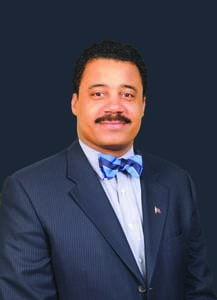 Prior to joining M. R. Beal, Grayson was the managing director and manager of the Public Finance Department of Prudential Securities Inc. and a member of the firm’s Operating Council. 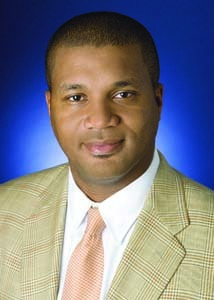 Green launched Piedmont Investment Advisors L.L.C. (No. 8 on the BE Asset Managers list with $3.4 billion in assets under management) in 2000 with just three people and built the firm into an industry powerhouse. In 2009, Piedmont was among the firms selected by the U.S. Treasury Department to collectively manage a securities portfolio worth roughly $218 billion through the TARP (Troubled Asset Relief Program) Capital Purchase Program. 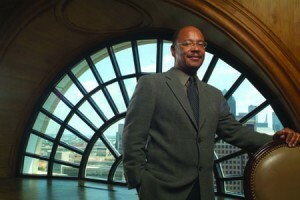 Grigsby founded one of the oldest black-owned, full-service investment banking firms in the country which is No. 5 in tax-exempt securities with $82.5 million in lead issues on the BE Investment Banks list. His firm has assisted local governments in raising more than $400 billion in tax-exempt capital and helped arrange $10 billion in public and private corporate offerings. 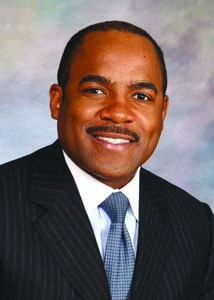 In April, Grigsby became the sole manager of a $10 million government obligation bond in Illinois. Harper co-founded GenNx360 Capital Partners (No. 4 on the BE Private Equity Firms list with $600 million in capital under management) in 2006 and is responsible for the strategic direction of the firm, which focuses on industrial business-to-business companies in industries such as industrial water treatment, specialty chemicals, and engineered materials. 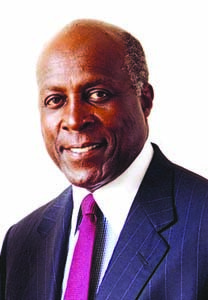 Previously, Harper was an SVP at GE and president and CEO of GE Equipment Services–a $6.5 billion global business. 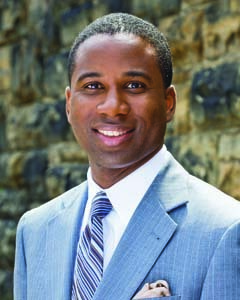 As head of the Emerging Manager Platform, Harris provides investment advice to corporations, public pension plans, foundations, and endowments. She was formerly a senior member of the equity syndicate desk, where she helped structure IPOs for UPS, Martha Stewart Living Omnimedia, Ariba, Redback, and the $3.2 billion common stock transaction for Immunex Corp., one of the largest such biotechnology deals in U.S. history. 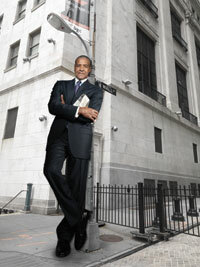 As president of Ariel Investments L.L.C. (No. 6 on the BE Asset Managers list with $5.5 billion in assets under management), Hobson oversees all operations outside of research and portfolio management. 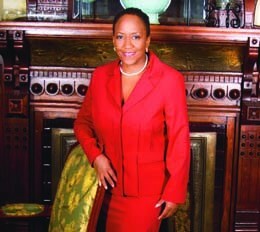 Additionally, she serves as chairman of the board of trustees for the mutual funds. She serves on the boards of DreamWorks Animation SKG Inc., The Estee Lauder Cos. Inc., Groupon Inc., and Starbucks Corp.
Holley oversees all investment activities for Herndon Capital Management L.L.C. (No. 12 on the BE Asset Managers list with $2.5 billion in assets under management). He also serves as portfolio manager responsible for Herndon’s Large Cap Core International Equity product and one of the three portfolio managers responsible for managing its Large Cap US Core Equity product. 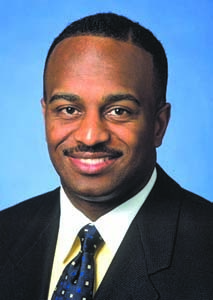 Previously, Holley spent more than eight years at Morgan Stanley Asset Management. Holt oversees Hansberger’s $10 billion in assets under management and serves as the firm’s co-chief investment officer of the Value Team. In this capacity, he has ultimate responsibility for execution of the firm’s strategic, financial, and operational plans and policies. During the financial crisis, Holt and his team successfully created a new product offering, the Hansberger Multiple Investment Trust, a collective investment trust that specializes in Hansberger funds. Jackson manages Capital Point Partners (No. 13 on the BE Private Equity firms list with $110 million in capital under management) and is responsible for deal flow generation, investor relations, capital raising, and overall strategy for the firm. Capital specializes in mezzanine financing, including buyouts and recapitalizations, between $5 million and $20 million to middle-market companies. As of June, Capital Point Partners II L.P. raised $28 million of a targeted $250 million private equity fund. James, who marks her 24th year at the global financial services firm, now oversees Morgan Stanley’s commercial lending business and its $70 billion in loan commitments–a business she helped establish. Over the years, James has held several positions, including running the industrial origination effort in Debt Capital Markets, where she helped raise billions in capital for corporate clients and worked on some of the firm’s most complex transactions. Those include the first domestic yen issuance for General Electric Capital Corp.; the first global bond for DuPont; and a complex debt-for-equity swap in connection with the $4 billion initial public offering for Agere, then the largest U.S. technology company IPO in history. 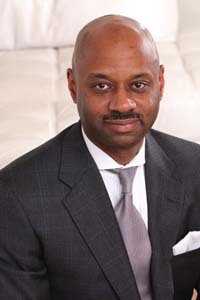 As chief investment officer of Comerica Asset Management Group, Johnson manages $26.5 billion in assets and is responsible for the firm’s passive and active investment strategies, alternative investments, new products, client relations, and business development. He is also co-chair of the Group’s Investment Policy Committee, which governs the company’s asset allocation policies for its investment professionals. 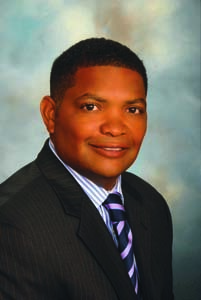 Johnson oversees all non-investment functions at Advent (No. 5 on the BE Asset Managers list with $5.8 billion in assets under management), including strategy marketing, product development, investor relations, and operations. This hedge fund management firm specializes in convertibles, equities, and high-yield securities. 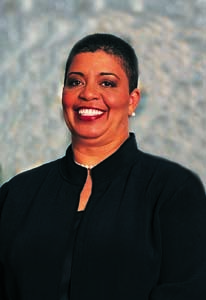 Prior to Advent, Johnson held various roles in financial services at Merrill Lynch and Salomon Brothers. 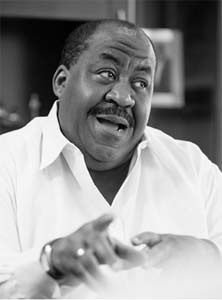 Johnson established this middle-market private equity firm, one of a portfolio of 14 companies that he owns, in 2006. The firm (No. 9 on the BE Private Equity firms list with $230 million in capital under management), invests between $15 million and $30 million per transaction. Johnson’s team originates, structures, and invests in traditional buyouts, recapitalizations, and growth capital infusions. 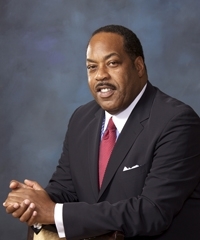 He launched a new company, RLJ Fixed Income L.L.C., in June. 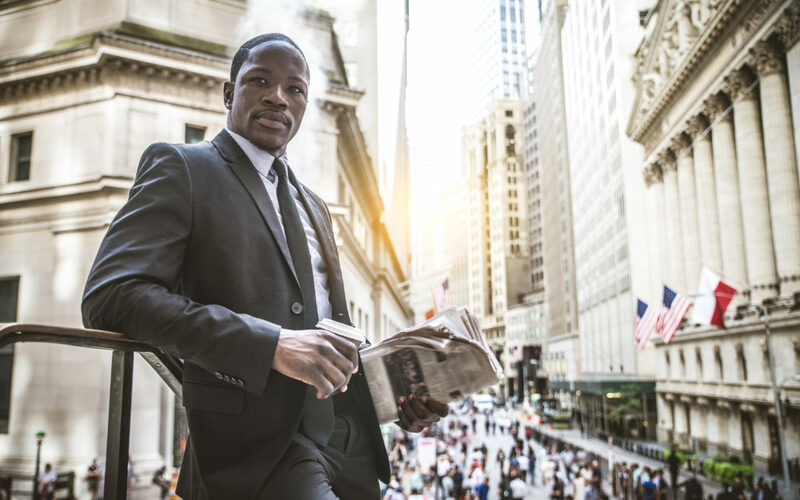 Sustaining an investment banking firm that had been launched not long before the financial crisis hit might sound like a recipe for disaster, but the young company’s timing actually helped it attract talented professionals who’d been downsized from the large institutions. 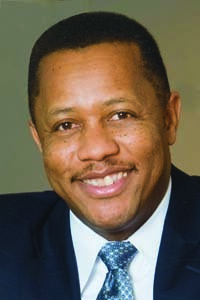 And Castle-Oak Securities L.P.’s CEO David R. Jones continues to expand his company’s reach. “A lot of folks call smaller organizations like ours an eat-what-you-kill environment,” says Jones, who previously was head of Investment Banking and Capital Markets at Blaylock & Co. Inc. “People are attracted to that because if they’re bringing in business, they know how much it is and they know how much they’re going to get paid. “We’ve grown tremendously because of the talented folks who have been available for us to hire,” says Jones, who now employs a staff of 55. “And the assets on Wall Street are its people.” Now with offices in New York; Chicago; Indianapolis; Atlanta; Cleveland; Columbus, Ohio; and Portland, Oregon, the 6-year-old firm (No. 3 in taxable securities with $3.6 billion in lead issues on the BE Investment Banks list) boasts significant underwriting deals. Among them was serving as co-manager on the Wells Fargo common stock issuance to raise more than $12 billion as part of its TARP, or Troubled Asset Relief Program, repayment plan authorized by the U.S. Treasury. Others include equity recapitalizations by GE ($12.1 billion) and Ford ($1.4 billion); and co-managing the re-IPO of AIG ($8.9 billion), the IPO of Primerica ($320 million), and underwriting in General Motors’ IPO ($18.1 billion). Jones is a partner in the Customized Fund Investment Group within Credit Suisse Private Equity. He sits on CFIG’s Investment Committee, responsible for helping shape the company’s investment philosophy and strategies. 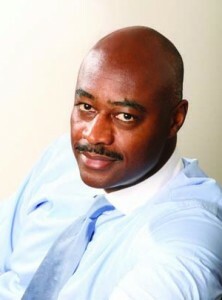 He also serves as co-head of the group’s co-investment practice. Jones has built a successful career in private equity since joining the firm in 2007, having also been a founding partner at former be 100s company Provender Capital. 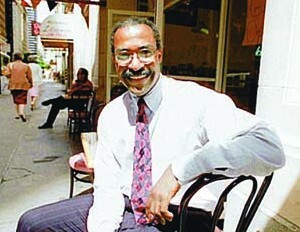 Jones has participated in more than 125 investments during his tenure with Syncom Venture Partners (No. 7 on the be private equity firms list with $410 million in capital under management) and its affiliates. Among those investments were interests in BET, Radio One, and TV One. A hallmark deal for the firm was the acquisition of the Iridium Satellite system for $25 million that later sold for $436 million. In the deal, Syncom also retained an interest in Iridium’s successor after it went public. Lazard Fre & Co. L.L.C. 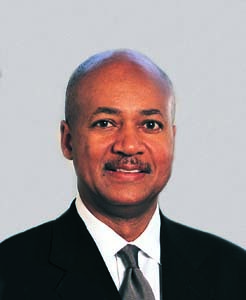 An attorney and Washington powerbroker, Jordan sits on the board for Lazard Ltd., a financial advisory and asset management firm, operating in 42 cities across 27 countries with $161.6 billion in assets under management. 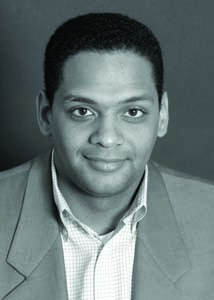 Jordan also sits on the board of directors of Asbury Automotive Group and serves as senior adviser to the board of directors for American Express Co. and Xerox Corp.
With more than 17 years of investment experience, Jordan trades securities in the $847.3 million TCW Relative Value Dividend Focused, $5 billion TCW Relative Value Large Cap, and $685.3 million TCW Value Opportunities strategies. He was named head equity trader for the $570 million TCW Value Opportunities mutual fund and institutional strategy and is also responsible for managing commission, soft-dollar, and directed budget targets for all relative strategies. 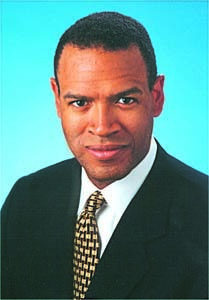 Since joining Lazard in 2004, Lewis was involved in numerous multimillion- and billion-dollar deals. Among them was the $1.9 billion Maytag sale to Whirlpool and American Express’ $1.1 billion sale of American Express Bank. 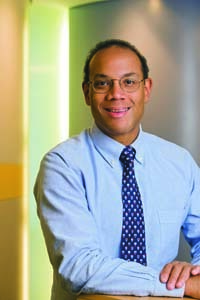 Prior to joining Lazard, Lewis was a managing director and co-head of the Global Banking Department at Morgan Stanley and was responsible for the firm’s global industry practices and regions. Maitland has been an innovator among asset managers, successfully building his company through investments in convertible securities. His prowess has earned Advent the No. 5 rank on the BE Asset Managers list with $5.8 billion in assets under management. Founded 16 years ago, Advent specializes in convertible, high-yield, and equity strategies. 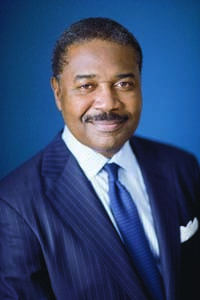 Mason is responsible for all aspects of strategy, business restructuring, divestitures, and asset sales, and he has direct oversight responsibility for Citi Financial, Alternative Investments, Commercial Real Estate, and International Consumer Finance. He oversaw the restructuring of CitiFinancial into OneMain Financial and CitiFinancial Servicing Network. Under his leadership, Citi Holdings has reduced assets on the balance sheet by more than half a trillion dollars and divested several businesses and assets. A dealmaker extraordinaire, McGuire was involved in several billion-dollar transactions, including the $45 billion spinoff of Time Warner Cable from its parent company; ConocoPhillips Co.’s $36 billion acquisition of Burlington Resources; Koch Industries’ $21 billion acquisition of Georgia-Pacific; the $13 billion sale of EDS to Hewlett-Packard; and the $68 billion sale of Wyeth to Pfizer. 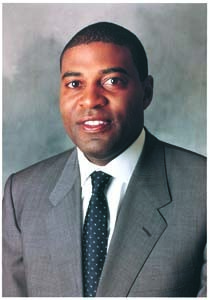 Prior to joining Citi, he was the Global Co-Head of Mergers & Acquisitions at Morgan Stanley. McKenzie has nearly 40 years of experience in asset management, commercial and investment banking, trade finance, corporate treasury, and brokerage. He has served at BlackRock, one of the largest publicly traded investment management firms in the country with $3.7 trillion in assets under management, for more than six years. 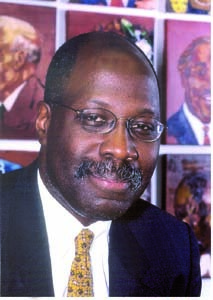 McKenzie ran his own firm, McKenzie & Co., in the mid 1980s and was a founding board member of the National Association of Securities Professionals. McNeal is responsible for delivering targeted investment, estate planning, fiduciary, and liquidity advice to JPMorgan’s individual investors. 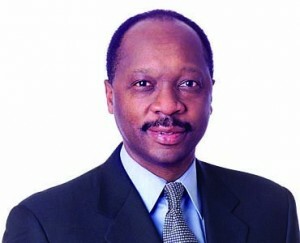 He joined JPMorgan in 1984 as an investment banker in the firm’s Natural Resources and Power Group. 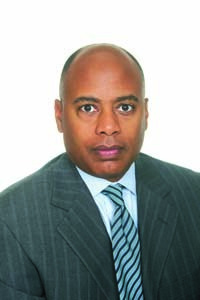 McNeal remained in that function until 1994, when he began managing the firm’s Syndicated Loan Origination business for technology, media, telecommunications, consumer retail, oil and gas, and power clients. 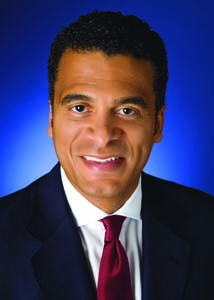 Operating from London, Mensah leads Bank of America Merrill Lynch’s emerging market sales and trading for equities and fixed income, currencies, and commodities, excluding Asia. A 17-year trading and investing veteran, Mensah joined the company last year from Goldman Sachs, where he served as global head of bank loans and distressed trading. With more than 20 years of experience in all aspects of financial advisory services, Miller has advised both domestic and international clients on a broad variety of assignments including mergers, acquisitions, divestitures, proxy contests, hostile transactions, and debt and equity capital raisings. He has been involved in major transactions such as the $25 billion split of Mosaic Co. from Cargill and the $6.5 billion acquisition of Danisco by DuPont. Morse serves as a general partner of Fairview’s 17 funds-of-funds representing more than $3.2 billion in assets, making the company No. 1 on the BE Private Equity Firms list with $3.1 billion in capital under management. He’s participated in the investment of more than $2.5 billion in more than 100 traditional and specialized venture capital and private equity limited partnerships. Mosley is a partner, senior vice president, and investment strategist for Wellington, a $650 billion global money management firm. 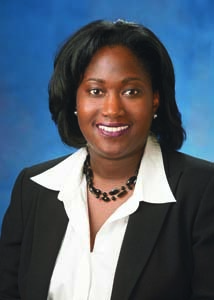 As a member of two of the firm’s fixed-income strategy groups, she helps set investment strategy and parameters for several of the firm’s fixed-income mandates. 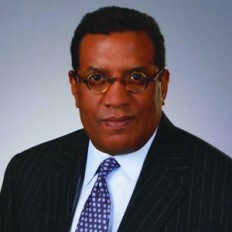 Morgan Stanley Smith Barney L.L.C. Narcisse helps oversee client solutions: alternative investments, mutual funds, exchange-traded funds, closed-end funds, insurance, annuities, managed account platforms, retirement services, and research. He also serves as interim head of the Corporate Equity Solutions Group, managing the firm’s global stock plan services and directed share plan operations, which serve approximately 2.5 million participants at more than 500 corporations globally. Nelson founded this investment firm in 1990 and specializes in managing index-based strategies for institutional investors. His firm’s strategies include pure index tracking and customization to meet client needs. Prior to founding RhumbLine (No. 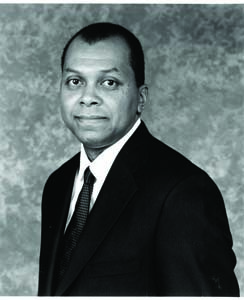 2 on the BE Asset Managers list with $23.7 billion is assets under management) Nelson was senior vice president and first director of the Public Funds Division at State Street Bank. Recently, RhumbLine started offering clients a new international equity product. 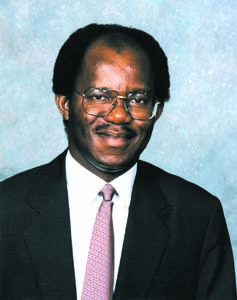 Ogunlesi founded this $5.64 billion independent fund, a joint venture between Credit Suisse and General Electric that invests in energy, transportation, and waste sectors worldwide, in 2006. 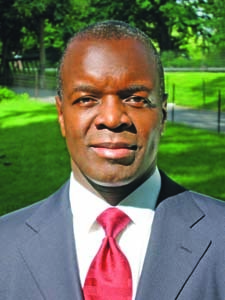 He was most recently executive vice chairman and chief client officer at Credit Suisse. In 2009, he led the firm in the acquisition of Gatwick Airport in London, a Â£1.51 billion ($2.39 billion) transaction. 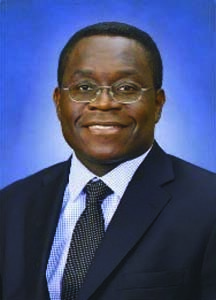 Stationed in Hong Kong, Opoku works closely with the co-presidents of Goldman Sachs Securities Division (Asia) on business planning, financial analysis, personnel management, and business development for the $3.5 billion unit. She is instrumental in driving the unit’s focus, providing sales, trading, clearing, financing, and reporting services to institutional clients, including hedge funds, corporate pensions, and endowments. 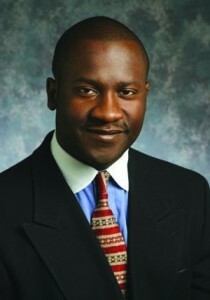 Opoku joined Goldman in 2004 and became a managing director in 2006. 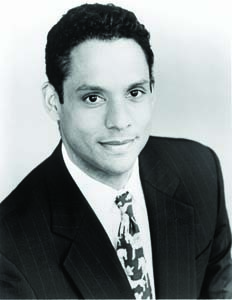 Penn is head of equity sales and trading at Pershing, the clearing and trading arm of Bank of New York Mellon. He is responsible for sales and trading in products ranging from domestic stocks and options to international equities and foreign exchange. Penn also manages the trading areas that service the firm’s registered investment advisors clients. The firm’s NYSE and London trading operations are also under his direction. 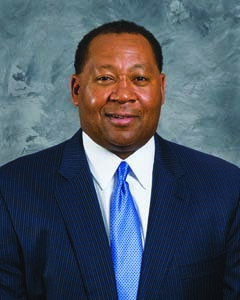 Price led the marketing strategy that established Fairview’s core group of institutional investors, which today includes foundations, endowments, and corporate and public pension funds. As such, she has helped Fairview grow to No. 1 on the BE Private Equity firms list with $3.1 billion in capital under management. Price and her partners have committed more than $2.5 billion in capital to more than 100 equity partnerships. From 1996 to 2010, Profit has grown the firm from $300,000 to more than $2 billion in assets under management, earning the No. 15 spot on the BE Asset Managers list. 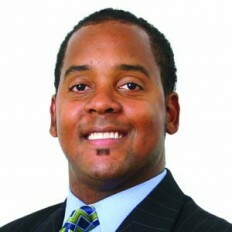 He oversees overall management of the firm’s operations and client portfolios. Profit’s well-known investment style is to find undervalued or mispriced growth stocks.Â The flagship product, the Profit Large Cap Equity Composite, has performed competitively benchmarked to the Russell 1000 Growth Index. 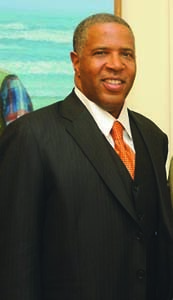 Ray is responsible for all of Legg Mason Capital Management’s equity mutual funds and separate account products. He began his career in 1987 and three years later was promoted to a junior trader on Legg Mason’s institutional bond and equity trading desks. It was Ray’s money management prowess that put him in a position to manage Legg Mason Capital’s equity portfolio, which is worth about $17 billion today. While the financial markets were reeling, James Reynolds, CEO of Loop Capital Markets (No. 1 in taxable securities with $29.03 billion in lead issues and No. 2 in tax-exempt securities with $2.83 billion in lead issues on the BE Investment Banks list), says his firm was having one of its best years ever. The end result: Loop Capital beat out several global firms on a structured underwriting of $962.5 million of general obligation refunding bonds for New York City–the largest underwriting deal completed by a minority-led syndicate in the city’s history. Under Rice’s stewardship, Rice Financial (No. 4 in tax-exempt securities with $568 million in lead issues on the BE Investment Banks list), has underwritten municipal bond transactions exceeding $245 billion and has executed derivative transactions totaling nearly $30 billion. In 2010, the firm served as a managing underwriter on more than $52 billion in municipal bond issues–a 578% increase in just four years. Rogers’ mantra of slow and steady winning the race has helped him establish Ariel Investments L.L.C. (No. 6 on the BE Asset Managers list with $5.5 billion in assets under management) as a financial services superpower. The former stockbroker for William Blair & Co. 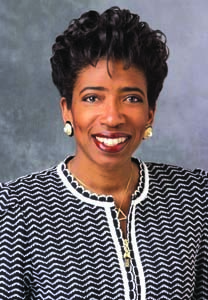 L.L.C., who has been named one of BE’s “40 Most Powerful African Americans in Business,” now serves on the boards of global corporate giants such as Exelon Corp. and McDonald’s Corp.
Siebert Brandford Shank & Co.
Shank is responsible for the overall administration of the firm’s scope of services and for attaining the firm’s profitability goals, earning SBS the rank of No. 2 in taxable securities with $8.1 billion in lead issues and No. 1 in tax-exempt securities with $6.8 billion in lead issues on the BE Investment Banks list. In 2010, SBS served as joint bookrunner for the State of California issuance of $3.27 billion of taxable and $1.25 billion of tax-exempt bonds. 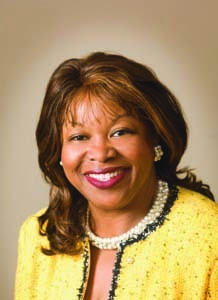 Sloan oversees all business aspects of Durham, North Carolina-based NCM Capital (No. 11 on the BE Asset Managers list with $2.6 billion in assets under management). The firm launched its own mutual fund, the NCM MidCap Growth Fund, and invests client money in the bond markets. 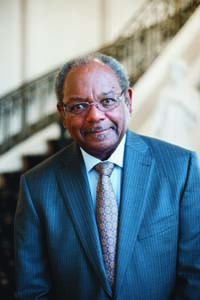 Sloan was elected chairman of the board of trustees for TIAA-CREF, a financial services firm with $453 billion in combined assets under management. 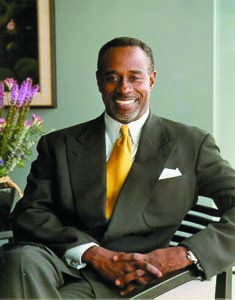 Smith, Graham & Co. Investment Advisors L.P.
As CEO of Smith, Graham & Co. Investment Advisors L.P. (No. 7 on the BE Asset Managers list with $5.0 billion in assets under management), Smith oversees the firm’s fixed-income and equity institutional assets as well as $140 billion in assets for which his firm serves as adviser. In February 2009, under Smith’s leadership, the firm acquired the fixed-income, small-cap value and mid-cap value assets of Ark Asset Management Co. Inc., doubling total assets under management. Smith’s 11-year-old firm currently manages equity capital commitments of approximately $5 billion, positioning Vista to become No. 2 on the BE Private EquityÂ Firms list with $2.7 billion in capital under management. 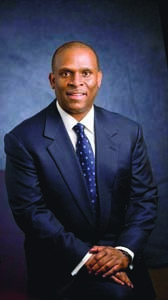 He’s invested in firms such as Surgical Information Systems L.L.C., Accruent Inc., BigMachine, and SER Solutions Inc. 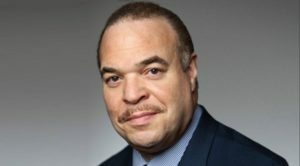 Prior to Vista he executed and advised more than $50 billion in mergers and acquisitions as co-head of Enterprise Systems and Storage at Goldman Sachs. Smith Whiley & Co. (No. 8 on the BE Private Equity list with $300 million in capital under management) specializes in management buyouts, recapitalizations, acquisitions, and growth capital, and makes private equity and mezzanine investments. Smith Iloani directs Smith Whiley’s investment advisory and asset management business and is chair of the firm’s Investment Committee. 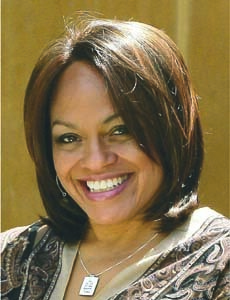 Prior to forming Smith Whiley, she was a managing director at Aetna Inc., where she managed a $9.2 billion portfolio. In April, GE tapped its London-based head of global banking to lead its investing arm with $122 billion in assets under management. Stockton heads a team of more than 400 employees and the management of portfolios for institutional investors worldwide. GE Asset Management oversees the $45 billion pension plan for GE and many of GE’s affiliated insurance funds. 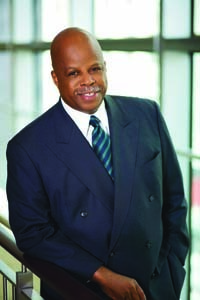 Stockton is a senior vice president of GE Co., a member of GE’s Corporate Executive Council, and serves on GE Foundation’s board. 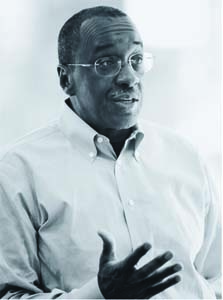 Terrell launched his career at Credit Suisse as an associate 28 years ago. Prior to rejoining the company in 2010, he was managing partner and CEO of Provender Capital GroupÂ L.L.C., a private equity firm he founded in 1998 and a former BE 100s firm. His senior-level experience cuts across the bank’s platforms, including investment banking, private equity, mortgage and asset-backed securitization, financial institutions, and federal agencies. 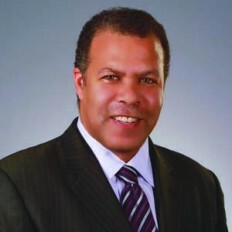 Thomas serves as a managing director and global head of Northern Trust’s Exchange Traded Funds Group, a newly established business within the Global Investments division involving a “de novo build.” Thomas is chiefly responsible for strategic planning, product innovation, business development, vendor management, and talent acquisition. His capital market experience spans equities, fixed income, and derivative investment products. As managing partner at GenNx360 Capital Partners (No. 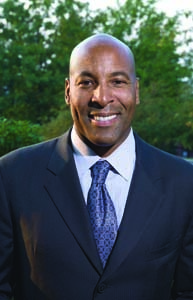 4 on the BE Private Equity firms list with $600 million in capital under management), Trotter is responsible for the strategic direction for GenNx360 and focuses on industrial business-to-business companies in industries such as industrial water treatment, specialty chemicals and engineered materials, and global transportation component parts. Utendahl focuses on providing strategic advice and cultivating and enhancing major platinum client relationships. With more than 30 years experience on Wall Street, Utendahl founded former BE 100s financial services firm Utendahl Capital Partners L.P. in 1992 and served as chairman of a collection of asset management, private equity, and investment banking firms that have cultivated a number of financial professionals. Viera leads the firm for more than 300 clients, including municipalities, corporations, and endowments. He developed Return Pattern Recognition, the investment methodology used to screen equities. EARNEST Partners (No. 3 on the BE Asset Managers list with $17.4 billion in assets under management) continues to act as the U.S. Treasury’s sole agent for transactions relating to the $368 million Small Business Administration’s 7(a) securities portfolio. 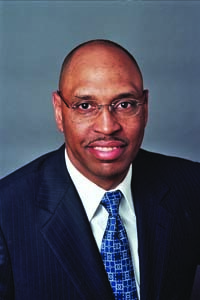 As CEO, Walker oversees overall business and financial operations for Holland Capital Management L.L.C. (No. 14 on the BE Asset Managers list with $2.2 billion in assets under management). 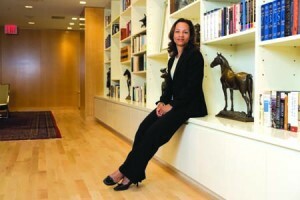 She also manages the execution of the firm’s large-cap growth and mid-cap growth equity strategies. 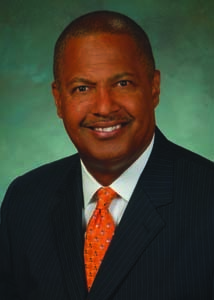 Prior to joining Holland, Walker was manager of Trust Fund’s Administration, responsible for Texas Utilities’ $1.5 billion pension fund and defined contribution plan. Progress Investment Management Co. L.L.C. White is responsible for the vision and values of Progress (No. 4 on the BE Asset Managers list with $6.8 billion in assets under management) as well as leading all of the firm’s operational, financial, and strategic goals. Progress works with 60 emerging firms, managing 25 multi-manager investment portfolios. White is recognized as a pioneering specialist in developing emerging manager investments and recently penned a guidebook for emerging asset managers. Whiteman has more than 15 years of private equity and distressed investing experience at one of the leading global alternative asset managers with approximately $153 billion in assets under management. Earlier this year the firm acquired energy exploration and production companies Core Minerals and Black Raven Energy for $20 million and $20.5 million respectively. The company also filed for an IPO last month. “We recognize that we are not too big to fail. 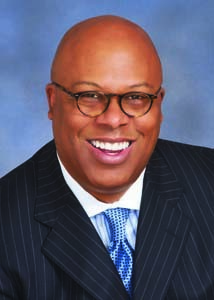 We have always operated in a manner recognizing that our performance is the only buffer between success and failure,â€ says Christopher Williams, CEO of Williams Capital Group L.P. (No. 4 in taxable securities with $1.6 billion in lead issues on the BE Investment Banks list) and Williams Capital Management L.L.C. (No. 13 on the BE Asset Managers list with $2.4 billion in assets under management). Williams charges his team with managing the company in a way that reflects a risk-averse, prudent mindset. His investment bank played a significant role as an underwriter in General Motors’ $20 billion IPO last year, served as co-lead in the $8.7 billion AIG equity offering in May, and was tapped as a senior co-manager in AT&T’s $500 million bond offering. The firm has also formed a business partnership with a yet-unnamed hedge fund-of-funds with some $5 billion in assets under management. 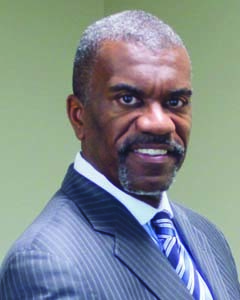 Street Corporate Growth Partners L.P.
A company co-founder with more than 30 years experience in the financial services industry, Williams was instrumental in developing the investment strategy and raising nearly $100 million for the private equity fund. He is responsible for developing investment strategy, sourcing, executing transactions, and maximizing the value of the fund’s portfolio companies. ICV Partners (No. 6 on the BE Private Equity firms list with $440 million in capital under management) invests in leading companies with sales of $25 million to $250 million. 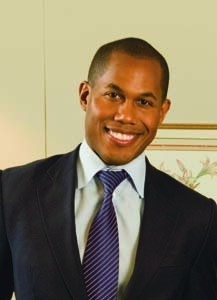 Prior to co-founding ICV, Woods was a vice president in investment banking at Deutsche Bank Alex Brown, where he was responsible for deal origination and execution of merger and acquisition, leverage loan, high-yield bond, and equity transactions with a focus on financial sponsors in the basic industries. Youngblood’s Pharos Capital Group L.L.C. (No. 4 on the BE Private Equity Firms list with $600 million in capital under management) focuses on providing growth and expansion capital to businesses in healthcare, business services, and opportunistic investments. The firm’s latest partnership is a $400 million to $600 million fund focused on providing later stage equity funding for internal growth, acquisitions, leveraged buyouts, management buyouts, or recapitalizations.